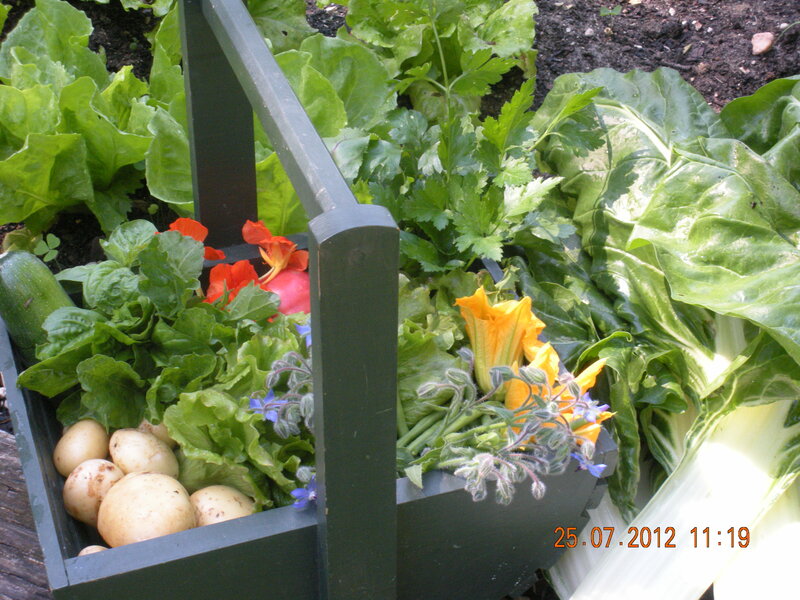 This year the produce from the potager has been remarkable – tasty, colourful and a joy to gather. Guests at Moulin de Larcy have loved the organic vegetables which have been incorporated into the many tasty recipes which have been created in our kitchen by Simon and myself. It has been such a pleasure popping across to the potager to pick the vegetables and herbs only minutes before preparing. This entry was posted in Executive Stress Management, Food & Wine, Healing, Holiday, No children, Organic, Peace & tranquility, Recipes, Spiritual retreat, Well-Being and tagged food, health, organic, well-being. Bookmark the permalink.